Lease the MSI GT75 Titan for Core i9 and RTX Power! 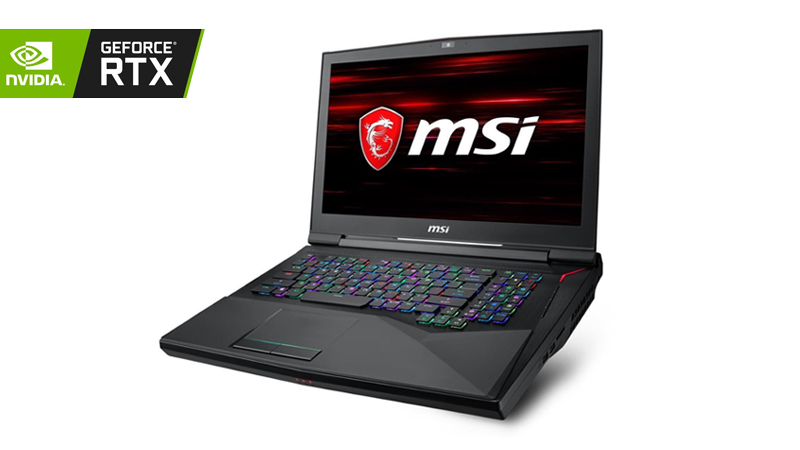 The MSI GT75 Titan is one of our most powerful high-end laptops featuring a dedicated RTX 2080 with Turing Architecture and 8GB VRAM. This Laptop also features an incredible Core i9 with 2x 512GB SSDs in Raid Array alongside a 1TB SATA HDD as standard, providing plenty of storage to take advantage of. This laptop is powered by an RTX 20 series and will leave Workstation shaking in fear, if you need to revolutionise your business setup, with Three Years ‘No Quibble’ Warranty and Support included when you’re Leasing from HardSoft.